Army, Air Force, Navy (teamed with the Coast Guard) and the Marine Corps will compete for the 2011 Inter-Service Chess Championship June 13th-17th at Marine Corps Air Station Miramar, California. The Marine Corps Chess team will be led by Inter-Service and NATO chess veteran Master Guns James Adkins from Camp Lejeune. Showing up his second year at the Inter-Service, Sergeant Nicholas Wolff from Okinawa, Japan. The rest of the team will be made up by newcomers Corporal Antonio Jackson, Lance Corporal Chris Barnett, Lance Corporal Diego Gonzales, and Private First Class Jo Ann Ortiz. At minimum, one of these marines will get the chance to represent the United States in the 23rd NATO Chess Championship in Lithuania. This will be the first year that I will watch the tournament from the sidelines. It is a great opportunity for all the branches to get to know each other and build camaraderie. Many service members play chess, but don't know tournaments like this exist....so spread the word! To follow along on Facebook with pictures and results, like Military Chess. Hopefully, Monroi will pick up and broadcast this tournament live. I do not see it on their upcoming tournament list yet, but they have done so in the past and covered the Navy and Army Chess Championships from this year. 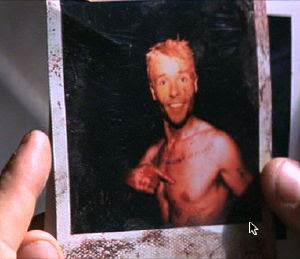 Good luck to everyone...but a little bit more to the Marine team. Semper Fi! For the truly impatient philistines it is possible to skip directly to 11:10 into the video. But why? Nigel Short's world championship match against Garry Kasparov worked out poorly for the Englishman, with a final tally of +1 -6 =13. However, the match was characterized by dramatic, tactical games that could have gone in either player's favor. 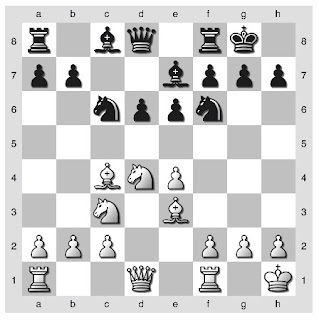 Every game that Short had with the White pieces turned into a Sicilian, and in particular Short's relative success with the Fischer-Sozin variation (+1 =7) provided several instructive games on classical themes of the variation. Playing with attacking verve, Nigel undoubtedly just missed a few more wins in these games. 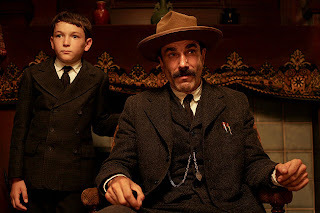 I made a few notes on these games which I'll put out over the next couple months, but first we'll go over the basics of the opening (favored by, among others, giant killer Lou Sturniolo). Some of the attacking potential of this opening is founded on the position of the bishop, directly in line with where the Black king usually ends up (g8). Numerous tactical tricks rely on this uncomfortable arrangement, and in certain cases piece sacrifices on the diagonal (e6 or f7). If e6 is temporarily ignored, watch out for the old chestnut 1. Bxe6 fxe6 2. Nxe6 with a fork (or in certain circumstances in the opposite order, with an attack for the piece sacrifice). One of the disadvantages of leaving the bishop on c4 is that it allows the well known center fork trick as in the position below: 1. .... Nxe4!? 2. Nxe4 d5 3. Bd3 PxN 4. Bxe4 Here Black has exchanged off a center pawn and a pair of knights (useful for defensive purposes), however it is far from clear that this leads to instant equality (as I found out against Dan Komunicky). Often White immediately retreats the bishop from c4 to b3 to avoid this tactic and keep pieces on the board. 3. Black's knight on c5 - to exchange or not to exchange? 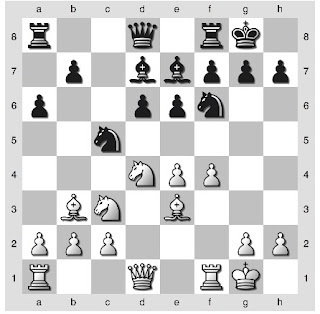 To offset the power of White's bishop Black will often plant a knight on c5 (b8-d7-c5 or -a6-c5) in order to exchange the bishop if necessary. 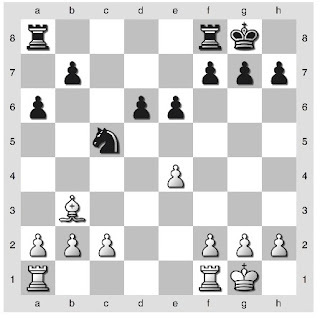 In the generic structure below each side must weigh the consequences of the exchange - the bishop capture is by no means necessarily unfavorable for White who can gain, after 1. .... NxB 2. axN, an open file for his rook on a1 and a very solid queenside pawn structure. Meanwhile, the knight on c5 (more usually developed to c6) cannot fulfill its normal task of keeping an eye on White's knight on d4, leaving it to start a kingside attack. Also, the knight on c5 has its own virtues, and Black is usually best to hold onto it until it is necessary to give it up. As in any respectable Sicilian, one of White's main ways forward is to go for the barbarians at the gate approach, pushing forward with a kingside pawn storm or a sacrificial attack. 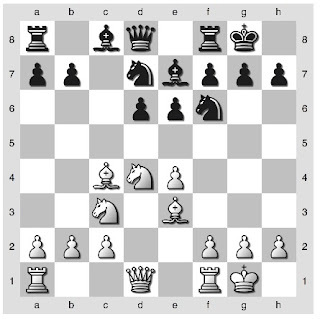 From the structure below this can start with e4-e5, f4-f5, or g2-g4, or even minor piece maneuvers leaving the pawns behind. Each has its pros and cons, for example f4-f5 tries to lever open the a2-g8 diagonal but hands Black the fat e5 square... throughout the Short-Kasparov match there is a lot of option #4. For some interesting reading material you can also check out this, with some interesting recent attacking games out of this opening. Picture far above is from here. 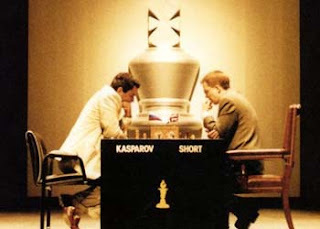 If you check out the article, you can see Kasparov took White (?!) against Arnold!